In the Arizona heat, belt or hose failure in your luxury vehicle can lead to an overheated engine. When an engine overheats, it can suffer serious damage requiring expensive engine repair. In addition, the temp under the hood can trigger and accelerate the deterioration of rubber belts and hoses. An ounce of measure can save you time and money. 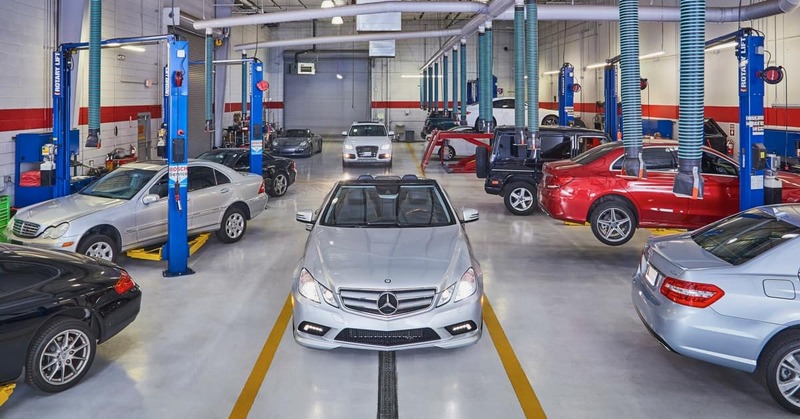 The ASE Certified technicians at iAUTOHAUS in Tempe, Arizona offer a full inspection of belts and hoses in Arizona for your European import vehicle including BMW, Audi, MINI, Mercedes-Benz, Volkswagen, Jaguar, Porsche, Maserati, and other European models. Choosing a BOSCH Authorized Service Center ensures that you get the right parts for your import. 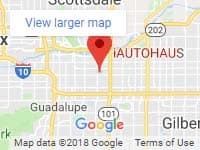 iAUTOHAUS proudly served Phoenix, Chandler, Gilbert, Queen Creek and surrounding areas since 1997. When to Replace Belts and Hoses? How often do you need to replace the belts and hoses in your import vehicle depends on the recommendations found in your vehicle owner’s manual, which is usually between 60,000 to 100,000 miles? You should also take into consideration the extreme Valley of the Sun heat. The helpful, knowledgeable service advisors at iAUTOHAUS are committed to helping you keep your import vehicle running at peak performance and will help you determine the best belt and hose replacement schedule. If your vehicle is over-do for an inspection or service maintenance, don’t wait until it is too late! Take your luxury import auto in for a check-up to avoid costly and unnecessary repairs in the future. iAUTOHAUS performs service maintenance and repair for your beautiful European import to ensure you receive the highest quality parts and service available. Hoses are made of flexible rubber to absorb the vibrations of the radiator and engine. They are the weakest component in your car’s cooling system. Made of a flexible rubber compound, hoses are designed to keep coolant held under pressure while subjected to cold and heat extremes, oils, and dirt and sludge build-up. While experts agree that all hoses should be replaced at least every 4 years or when one hose fails, a visual inspection of your import’s hoses will help avert costly repairs. Look for pinholes, bulges, crack or nicks in the hoses. You can also squeeze the hoses to feel for weakened spots. You should also be aware of the signs of a belt tension problem like vibrating noises, chirping sounds or a high pitched whine.